When it is time to do website redesign? What is a Brand Designer? We're a full-service Harare website design agency. We design & develop custom SEO optimised, mobile friendly websites. We are a Harare based graphic design agency and we treat every single design project as a unique chance to impress both you and your potential clients. Let us help you create an award winning company profile for your business today! 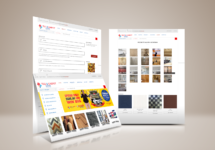 Get Your Website Designed Now! We’re a Harare website design and website development agency, providing fresh, creative design services to businesses to grow online. Our web development team uses their technical skills and industry knowledge to help your business reach more customers on the internet. 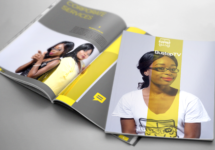 We design beautiful, striking company profiles, adverts, posters and attention-grabbing flyers that pop out to your potential clients. Our SEO team runs remarkably successful SEO campaigns in the most competitive industry sectors. We use a unique blend of creative and technical expertise. Get your company domain name with speMEDIA! Harare website domain registration, find and register your domain name today! Are you looking for Harare website hosting? If so, we have the perfect solution for you. Based in Harare our hosting is built with performance and reliability in mind. We have been offering reliable business email hosting for a number of years and we host emails for a number of businesses throughout Zimbabwe. speMEDIA – Website & Graphic Design Harare, Zimbabwe Copyright © 2019. "Design is the silent Ambassador of your brand!..."